For a long time I did not get poetry. And by not getting it I don’t mean that I didn’t enjoy poetry—I did, I’d enjoy it quite a lot. I just didn’t understand what it was supposed to be doing. To clarify: when I was about nine I wrote an expansive collection of poems from the point of view of a middle-aged divorce. My parents, I’d like to add, were not divorced. The words in no way reflected my nine-year-old experience in the world. At thirteen I had to present a self-written poem in class, but what I actually did was translate a song from Hebrew that obviously no one knew and passed it off as my own. Once again, it was about a middle-aged woman lamenting the childlike ways of her lover. Looking back, I think that for a long time I figured that poetry was a narrative medium that let you try out thoughts and feelings on for size. It took me a long time to figure out its potential as a medium for catharsis—of finely crafted words designed to stir that thing that feels like truth. and we look back at her. That last line, I tell you, does me in. The set-up is so familiar in its narrative, the personification of a fear and the raging against it—but the ending pulls the rug out from under you. I expected a retaliation, a win or a lose, but what we get instead is what fears are in essence: a mirroring of sorts. A thing that looks back at us in the same way we look at it. All I want for in a loved one is humility and obedience. and make it fight for me. There is a cliché in everything. That is how the truth comes in. Men are like docks, after all. You can leave them whenever you like. 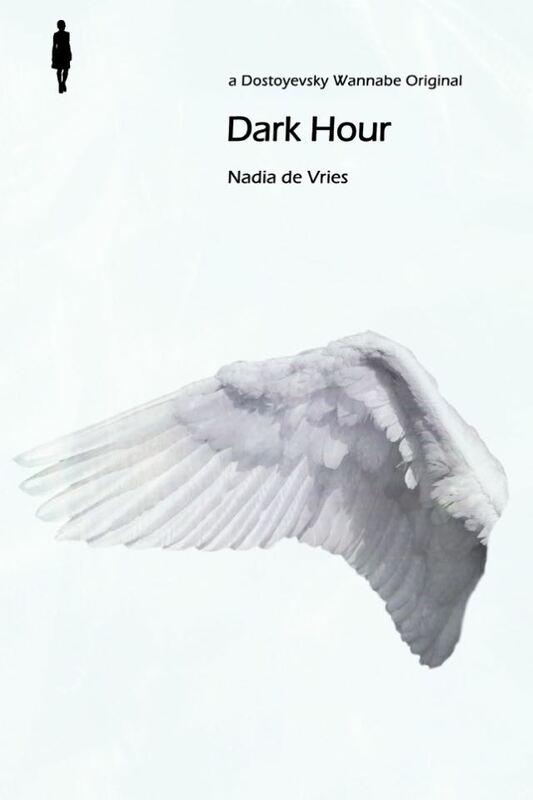 ‘Sympathetic magic’ is one of the ways De Vries’ collection was described on the back, and this is what I took it to mean: the magic used to made a person of the darkness, someone you can challenge and see it does little but stare back. Magic used to make fears into echo chambers, words bouncing in between the poems themselves. Because at the end of the day poetry is not a costume for the reader to wear, it is not an emotion to try on for size, a kind of magic used to startle the truth out of words. Best read: with your favourite 90s band on in the background; while eating fruit; in your underwear; right by a window.